From the Climategate 2.0 emails, it is astonishing how hung up Phil Jones (I refuse to use his title, he makes a mockery of that) is on an apparent catch all excuse not to provide information in response to FOI requests. His get out clause of describing perfectly reasonable FOI requests as vexatious, and seeking justification for applying the ‘vexatious’ tag to other requests clearly demonstrate anti scientific practice. Some people would draw the conclusion that Jones and his ilk had something to hide (other than a decline), but we already know that is the case. 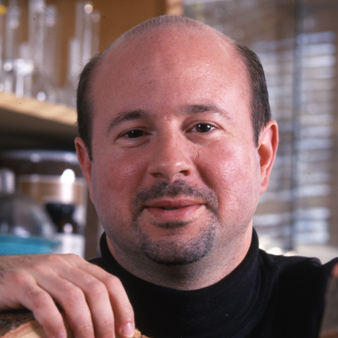 Worried that his ‘findings’ would be deconstructed under review and scrutiny, Jones and others in his circle simply decided to withhold data and method. When public money is used to generate ‘findings’ that have huge ramifications for public policy, those findings must be open and accessible to all and tested rigorously, else they must be ignored by government. 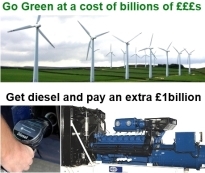 But as we have seen, government (Department for Energy and Climate Change) is in on this with the spiteful little weasel and his UEA and Penn State chums, pressing the scientists to deliver what the politicians want to hear so they can impose regulations and taxes on us to fit their wider agenda. That is what is truly vexatious. Did anyone ask Newcastle council taxpayers what they want? Newcastle Council has pledged to hand over the wages it saves as a result of Wednesday’s national strike – potentially up to £100,000 – to good causes. The Tyneside decision has put the spotlight on other councils who have so far refused to offer any extra help, despite the strike action set to see them save more than £1m. Every year the council assesses its budget and plans what needs to be spent on the services we provide for you. When that is decided – at the end of February – we calculate how much council tax we need to help us fund the work. Not all council services are funded by council tax, in fact only around 20% of a council budget comes from council tax. We get money from the Government, from European funds and other grants. When the tax is calculated we send out bills to everyone who has to pay, based on their circumstances at the time. There is a principle here. This is yet another example of a small, unaccountable group of people deciding how other peoples’ money should be spent because there is no mechanism that requires councils to refer back to taxpayers. Some Newcastle residents might feel giving their money away to charity is a good thing, but others might feel that as they pay increasing council tax charges and experience reduced basic services, the money should be kept and taken off council tax charge next year. Yes, it is only 1/365th of the council tax bill, which for a Band A property in Newcastle works out at £2.47 and for a Band D property equates to £3.71. But the money was appropriated to provide services, not to be given to charities so some officials can appear virtuous. Casting an eye over the RightMinds section of the Daily Mail the other day, this blog post by Chris Moncrieff stood out. The title was right on the money, but the content tells only a fraction of the story. By focusing on Council Tax payments, it misses the really outrageous behaviours that show just how much residents are at the the mercy of the mini potentates and unaccountable officer corps who work to an anti democratic agenda and take their lead from EU regulations instead of voters. There is no mention of the explosion of revenue raising activites that now account for nearly 50% of town hall revenue receipts. There is no mention of councils exceeding their authority by charging more than ‘reasonable costs’ when issuing summonses and liability orders. There is no mention of the imposition of frequently damaging and increasingly expensive parking controls around shopping areas, designed to take more from our pockets to fund their pet schemes while basic service provision is eroded. Councils are increasingly out of control and operating above the law. And there is no mention of the way councils increasingly attempt to withhold information about their actions from the very people they are supposed to be serving and who pay to fund their existance. Is it any wonder that in frustration and anger, with town halls stuffed with ignorant party hack councillors who have rings run around them by power hungry officers, we see this kind of response from people? It is a consequence of banana republic ‘democracy’, lack of accountability and the absence of any check on officials acting as overlords, as our interests are treated as an annoying distraction from the business of social engineering and embedding the power of the bureaucrats and technocrats. What was supposed to be the servant of the public, controlled by elected members chosen every four years – delivering essential services to the local community at a reasonable cost – has become a voracious parasite feeding off its host, doing us increasing harm and undermining our interests to serve theirs. The issue is much wider than council tax payments. Moncrieff’s piece is a missed opportunity to connect the dots so more people can see what is being hidden from them in plain sight. Having the dubious distinction of working in an office that has its TVs constantly tuned to the BBC News channel, it has been impossible to avoid the corporation’s obsessive coverage of proceedings from the Leveson inquiry. Hugh Grant’s moody features and Steve Coogan’s inability to find a barber have featured heavily. The BBC line is clear, the press has behaved outrageously by publishing distorted stories, fabrications and smears in order to sell papers. 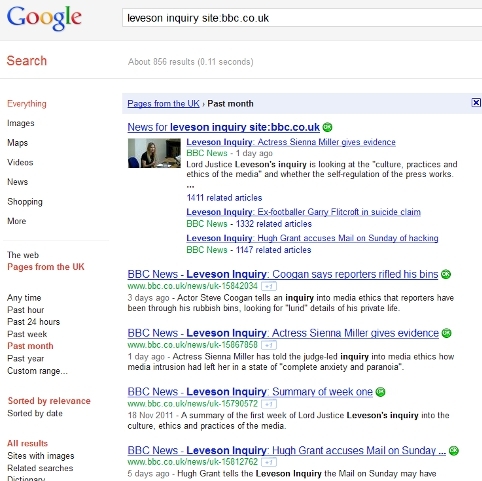 In the past month alone (at the time of writing) a Google search shows the BBC has been thoroughly enjoying itself, publishing no less than 856 stories and references about the Leveson inquiry – while taking a moral high ground that is wholly unjustified. Well, for all the wall to wall coverage on its news channel and the incessant stream of stories on a number of areas of its website, the BBC has itself been shown to be… publishing distorted stories, fabrications and smears. 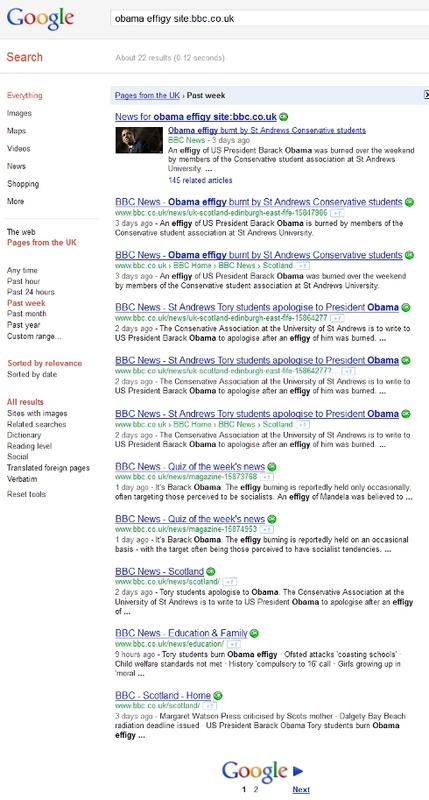 The BBC has published no less than 22 articles and references this week about the Conservative and Unionist Society at the University of St Andrews burning an effigy of President Barack Obama. However, the Tory boys and girls have not taken the thinly veiled insinuations of racism laying down. What the BBC will not report is that there is more to the story than they are happy for people to know, lest it exposes their scoop as the meaningless piece of spiteful bile it really is. Instead, for the facts, we need to turn to the blog pages of Biased BBC, where a member of the St Andrews little Tories explains what really happened and why. The ignorance of the BBC is left on full display. Their inability to learn the very lessons they are so keen to thrust down the ether and across the airwaves at us, is self evident. As always with the BBC what you get is half the story all the time – assuming they don’t ignore the story completely because it contradicts one of their sacred shibboleths. As always with the BBC the story has been made possible because of the unique way they are funded – with our money, despite not being accountable to us. Has the Guardian published fauxtography? Murdo Macleod’s pictures verge on the ridiculous. They seldom fall over the edge, but they often teeter on the brink. Murdo is the gentlest of men, with a soothing, Hebridean lilt that he evidently uses to beguile his sitters to most audacious effect. He charms them into improbable poses or amuses them for long enough to lower their guard. His use of lighting is extraordinary, as is his use of props. You must always expect the unexpected. There is sometimes an element of magic, sometimes a tinge of Dalí. And as Anthony Watts of the blog Watts Up With That? has discovered, possibly an unhealthy application of Photoshop too. Did Rubbisher unintentionally hit on something significant when he said Macleod’s pictures verge on the ridiculous, and that there is a Beckett-like sense of absurdity lurking in most of what he photographs? As focus turns to the Climategate 2.0 emails and people scrutinise the honesty of a number of scientists and journalists, some people are examining everything that has been said and what has been published by the media. A number of photographs used in climate change and environmental stories seem somewhat odd and have some people asking questions like; have you ever seen black steam coming from a cooling tower? People should know if image by Murdo Macleod is an example of him falling over the edge from visual representation to gross distortion, in support of a pre-determined editorial line. The question is this, is it what we are seeing photography or fauxtography? 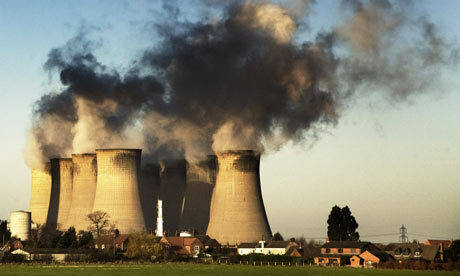 This image of Eggborough power station (above) by Murdo Macleod appears to have been used exclusively by the Guardian. On WUWT, Anthony Watts shows the output from running the published image through the PSKiller.com application to see whether it has been Photoshopped. 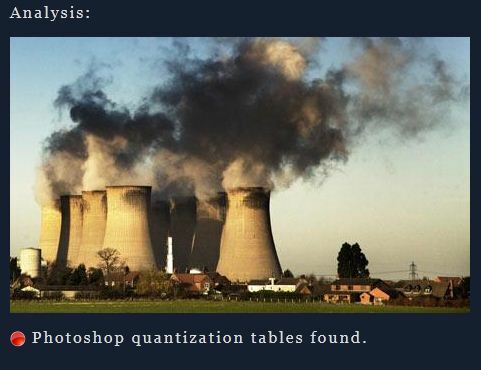 This output leads to a suspicion that the Guardian may have commissioned/used an altered image in order to convey a false impression of power station emissions. 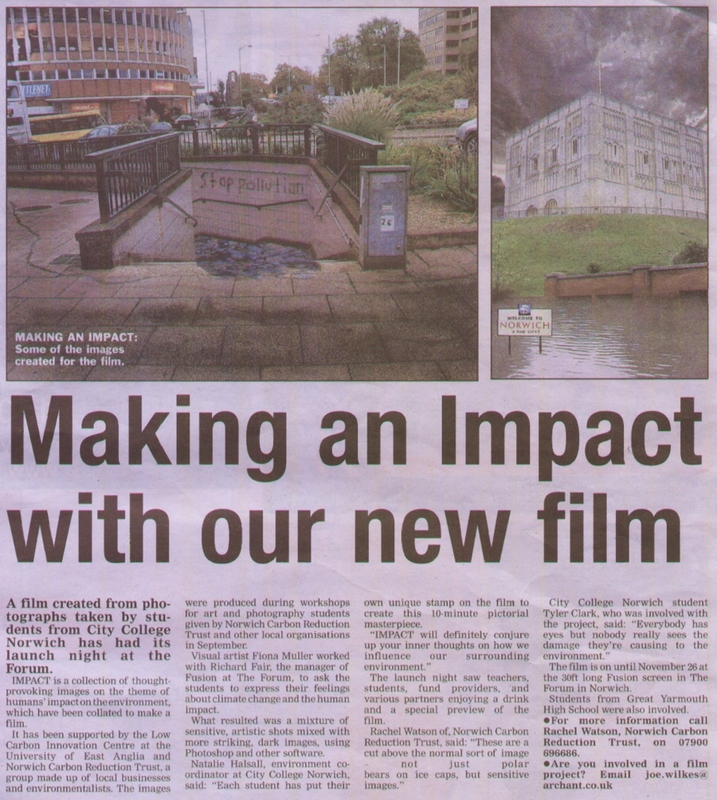 AM has written to Mr Macleod to ask if he will be willing to provide the raw, unaltered image for comparison purposes, and to detail what changes were made from the original to arrive at the image above. Macleod has also been offered a right of reply that is so often denied to subjects by journalists in the mainstream media. It would be improper to taint the long standing reputation of a man with such a high profile in his profession if he has done nothing wrong. This is not about getting one over the Guardian, but a simple search for the truth. There are questions to be answered here and those answers could have far reaching implications, so we await Macleod’s response with interest. I write with regard to this photograph you took for the Guardian newspaper. 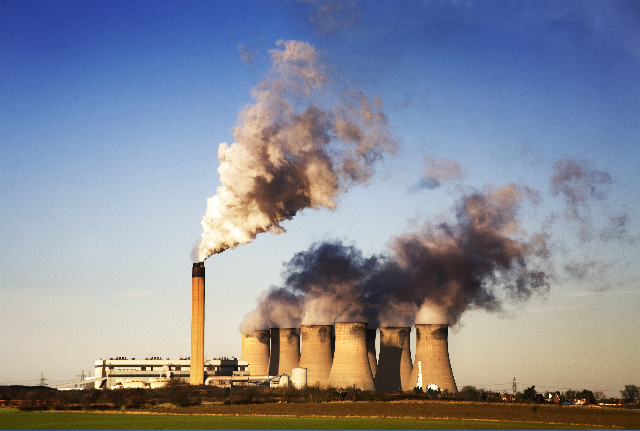 There is currently speculation that the photograph has been enhanced or altered in some way to achieve a darkening of the cloud emitted from the cooling towers, as Photoshop quantization tables have been found in the image using http://www.pskiller.com. Before I write about this I wanted to give you the opportunity to respond, as the implications of this could be far reaching. Would you like to comment about what changes were made to the image? Would you be willing to supply the original raw, unadjusted image for comparison purposes? Perhaps this makes it clearer for you. While you have kindly sent me a photograph to act as an illustration (which has been manipulated – resized only? ), it is not the same one that was published and does not explain what changes were made using Photoshop (or similar) to the original image. People driving past the Eggborough power station say they have only ever seen white steam coming from the cooling towers. This would sound logical as only water vapour comes from cooling towers. However, your images show darkened emissions. So I am trying to get to the bottom of this. For the sake of clarity, is this as a result of shadow as the sunlight is coming from the left? Or have you used a particular filter, adjusted the contrast, or otherwise altered the image? Or are the emissions that colour when seen from all angles? Many thanks for taking the time to answer my questions. It is appreciated. As you can see there is a shadow falling across the steam from the left towers. As you may be aware the Guardian has guidelines on photographs and their various aspects. I comply with those. There is a procedure for any readers who have any concerns about any images published. Nearly all photographs are processed in photoshop and a variety of adjustments are made for aesthetic and technical reasons. This photograph will have been adjusted within those conventions and regulations. So, Murdo Macleod is clear, the darker area is shadow being cast across the steam. It is not black smoke. But as others are saying, his comments are interesting for what he doesn‘t say. While the Guardian has guidelines concerning photographs that are submitted, it seems they are happy for people to take the impression that dirty, sooty smoke is being emitted from cooling towers, when the reality is the image shows only steam with part of it in shadow. That is the power of imagery. Is the Guardian being sly and disingenuous in the use of the photograph? You decide. This is one of the headlines in today’s online edition of the Daily Mail. The article comes complete with boilerplate comment from Nigel Farage, the standard mention of Tony Blair giving up part of the UK’s budget rebate won by Margaret Thatcher and the usual reference to Eurosceptics’ hand supposedly being strengthened. Let the Mail lay all its cards on the table. This paper has no desire for Britain to pull out of Europe — and particularly not at a time like this, when withdrawal would add immeasurably to the uncertainties threatening our recovery and rocking the confidence of the markets. Remember that. 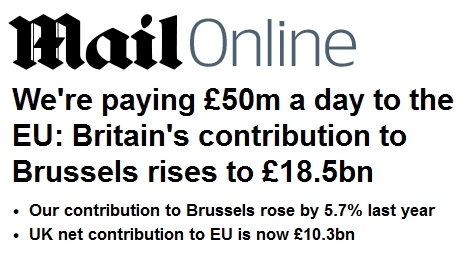 The Mail pumps out column inches bemoaning the EU, its cost, its power, all appealing to those who want us to leave. Yet the Daily Mail is Europhile. Like nearly all the media members of the establishment it is with the EUstices and Heaton-Harris’ of this world, who want to stay firmly in the EU and who believe in the renegotiation fairy at the bottom of the garden. When you understand the Mail’s editorial position you start to understand their anti EU tirades are all piss and wind designed to humour readers whose views they do not even support. 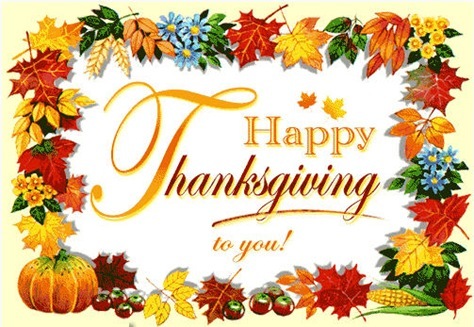 Wishing all my American readers around the world a very Happy Thanksgiving! When it comes to cutting and pasting press releases from the Environment Agency to use as ‘news’ pieces, the BBC is in a class of its own. Katabasis, the blogger who contributed to the exposure of the Met Office winter 2010 forecast scandal, has undertaken a labour of love to uncover the extent of ‘churnalism’ exhibited by our lavishly funded public service broadcaster and its legion of highly trained churnalists journalists when it comes to environment and climate change stories. Reading the whole piece on the Katabasis blog is absolutely recommended! 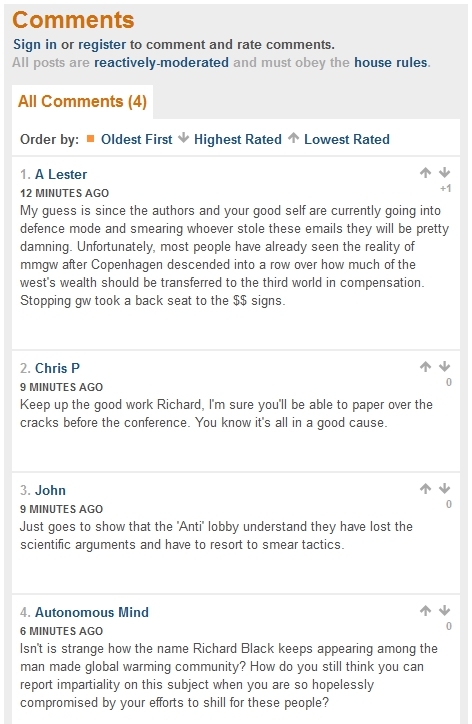 … how long comment 4 will remain on Richard Black’s latest piece on Climategate on the BBC before the moderators censor it? So, thousands more emails leaked from the servers of the University of East Anglia (there is still no evidence of hacking despite two years of police investigation) have been released into the public domain. It is being described on Watts Up With That? as Climategate 2.0. Out of context before we put them in context. I suppose that if you aren’t a certified UEA climatologist, you can’t read. 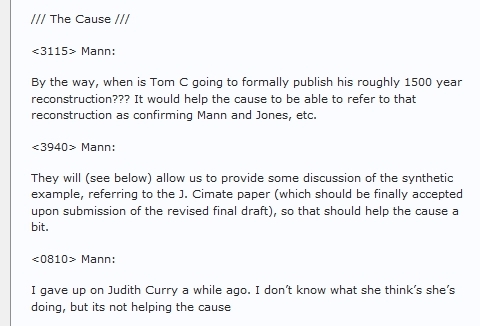 Several Climategate 2.0 emails that stand out were sent by Mann and are note worthy for refering to the his efforts to push the man made global warming narrative as a cause. It seems strange because I was led to believe that it was about science. No wonder Michael Mann is so desperate to prevent other emails of his falling into public hands. There is also more evidence in the leaked emails of Phil Jones encouraging people to delete emails in order to evade scrutiny through Freedom of Information requests, which possibly accounts for the ‘missing’ data he is unable to produce. Observations do not show rising temperatures throughout the tropical troposphere unless you accept one single study and approach and discount a wealth of others. By coincidence I also got recently a paper from Rob which says “London’s UHI has indeed become more intense since the 1960s esp during spring and summer. There is much more besides. It is worth a few minutes of your time to sit down and read the selection of emails. Some of the responses are eye opening. Enjoy! … so to speak. Of course now it is not the penny, it is the Euro. No matter. This previously fiercely independent nation, one that fought so hard to throw off British rule yet handed power to the EU mandarins in Brussels, seems to be rediscovering its appetite for self determination and is refusing to accept the anti democratic settlement foisted upon it. In September this blog posted about Eamon Keane of the Irish Independent encouraging the Irish people to forge a parliament of their own to replace the impotent imposter that is presiding over the dismantling of democracy. Two months on, Richard North at EU Referendum posts about Fintan O’Toole of the Irish Times railing against the setting aside of collective decision-making by the Government acting as a whole. The comments left in reply to O’Toole’s piece demonstrate an incisive understanding of the situation, rightly identifying how democracy has been hijacked and that Ireland is operating in an unspoken federalist fashion. Op-eds such as these in the Irish media will only serve to energise the people and stoke their resentment of the political class. If that boils over, history bears testament to how far the famously rebellious Irish will go to restore their independence. Think back to September when the media went into full screech mode because the Metropolitan Police threatened to use the Official Secrets Act to force the Guardian’s Amelia Hill to reveal the police source leaking stories to her about the phone hacking investigation, Operation Weeting. At the Guardian there was outrage. Editor Alan Rusbridger started the wagon circling, declaring: “We shall resist this extraordinary demand to the utmost”. His brother-in-law and the Guardian’s own self confessed exponent of phone hacking, David Leigh, also leapt into print to rail against the “unprecedented legal attack on journalists’ sources,” while carefully trying to distract people from the fact the source was a police officer whose actions broke the law. As always when the Guardianista comrades find themselves in the legal mire, their celebrated barrister and proxy in the assault on the Murdochs, Geoffrey Robertson QC, waded in to bemoan that it was an “attempt to get at the Guardian’s sources is not only a blatant breach of the Human Rights Act and article 10 of the convention, but it appears to involve a misapplication of the Official Secrets Act”. The Met Police backed down shortly after. A ‘victory for press freedom’ was the way the media reported the Met’s sudden climbdown. Of course, if any of them uncovered a police officer breaking the law by leaking information from an enquiry on which he was working, they would report it gleefully as an example of disgraceful police behaviour that risked perverting the course of justice. But it seems as long as the copper’s actions are benefiting a hack, he is treated as an untouchable source to be protected at all costs. I’m told the Yard only backed down after the Director of Public Prosecutions, Keir Starmer, had a serious word in their shell-like and made it plain they would receive no backing from the CPS. The intervention of Keir Starmer and its timing is something the media, in its own vested interest, warmly welcomed as it breathed a collective sigh of relief. Had the media not been so self serving it might have chosen to look into Starmer’s links to the Guardian, and examine if his intervention was truly impartial, or influenced by something other than a legal standpoint. These are things of 25, 30 years ago now. They’re not relevant to the work I do now. I hope that since I’ve been in office I’ve made it absolutely clear that every single decision is made absolutely independently. So just how independent is he? This post will show Starmer was being very economical with the truth about his political activity and as such cannot be trusted to be independent. His intervention on behalf of the Guardian against the Met Police needs to be put into proper context, and the media’s bias by omission exposed. My background is not typical of a lawyer or a DPP. My dad was a toolmaker before he retired, so he worked in a factory all his life. My mum was a nurse, and she’s been physically disabled for years. We didn’t have much money, and they were Guardian-reading, Labour-leaning parents. That inevitably created an atmosphere where my thinking developed. 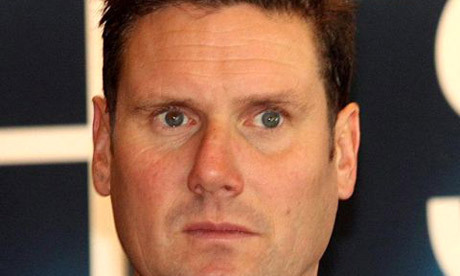 Earlier in his career as a barrister, Keir Starmer had joined Doughty Street Chambers, founded and headed by one Geoffrey Robertson QC – the same chap who has doggedly pursued the Murdochs through his pieces in the Guardian, acted as counsel for the Guardian in the Neil Hamilton/Ian Greer libel case, and howled in protest against the Met’s proposed legal action to get the name of Amelia Hill’s police source. Over time Robertson promoted Starmer to be joint head of chambers at Doughty Street. Robertson as the boss had influence over Starmer and helped to advance his career. Robertson as the joint head of chambers with Starmer arguably had an even closer bond with him. Within days of Robertson popping up to defend the Guardian within its pages, imagine our surprise that Starmer stepped in to put an end to the Met’s idea of using the Official Secrets Act to use Hill’s notes to root out the law breaking police officer. Was this a case of Starmer listening to his former boss, mentor and colleague and following his demands to the letter, rather than letting the police test the law in court in an effort to nail a bad apple? If so it justifies the Guardian’s adoration of comrade Keir. That would be enough to convince some people Starmer has too close an association with the Guardian to be an honest broker. But looking back there’s more. Not many people realise that in 2002 Starmer was himself paid counsel for the Guardian alongside Robertson. Starmer even wrote for the Guardian, cementing his link with the paper. If this was a couple of Bullingdon Club boys rather than Guardianista, you can imagine the howls of outrage that would have been flowing from Alan Rusbridger’s office. As the Guardian will no doubt privately attest, the socialist strategy of getting fellow travellers into the top echelons of the state is paying off. Alan Rusbridger, speaking after the Met Police dropped its action, described their attempt to confirm Hill’s source as “sinister”. What is really sinister though is how one newspaper possibly enjoys special protection under the law as one of their favourite sons holds the senior criminal prosecutorial role in the land – and that the media turns a blind eye to a potentially serious conflict of interest, because it suits their own. There has been so much juicy content to get stuck into in recent days; from David Cameron’s ‘We sceptics’ speech to the revelation the BBC has been taking sponsorship to broadcast environmentalist propaganda masquerading as current affairs programming. It’s frustrating not to have been around to blog about it. But all attention at Mind Towers has been focused on family matters. Although it is still early days and there have been a few worries, Mrs Mind and I are expecting an addition to the family. Mrs M is doing a grand job of keeping ‘Developing Mind’ warm and today’s scan suggests things are now going much better. Fingers crossed they will continue that way. 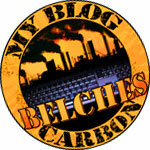 Hopefully I will now be able to ease back into the blogging saddle. Thoughts of the future that awaits Developing Mind in this country means the battle to wake people from their slumber continues with greater urgency. As this blog regularly reminds readers, don’t judge politicians by their words, judge them by their actions. Actions such as these that follow meaningless pledges to the contrary. 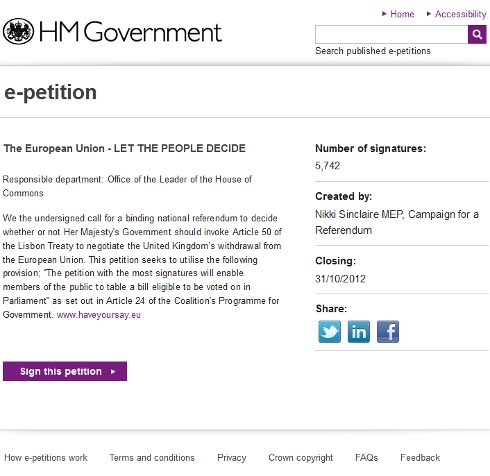 It is not just the left lining up against Cameron. As one would expect, his Conservative colours make him the target of the tribalists who back Labour and the Lib Dems. But his control freakery, deceit, waste of our money on overseas spending as vulnerable Britons go without, broken pledges and pandering to a social democrat agenda is now making him the target of classical liberals and those who want a smaller state that keeps out of people’s lives. It will be just desserts for such an unprincipled opportunist and the tribal Tory idiots who continue to prop up and support the unconservative agenda he is pursuing. Due to the pressure of work I don’t have the time to give these people the ‘good news’. So, dear reader, please do read the email below and go forth to tell the burghers of Debating Europe what you think! Do feel free to comment here about the debate and the comments you find over there. The floor is yours. I would like to draw your attention to a debate on the role of the European Central Bank in the Eurozone crisis, which is currently starting on Debating Europe, a platform for discussion supported by the European Parliament. We interviewed Peter Praet, a member of the six-person Executive Board of the ECB, and asked him what he thought about the ECB buying up government bonds in Italy: is it overstepping its mandate or does it have no choice? We would very much like you to participate in the debate, and have your opinion on the topic. Please do not hesitate to contribute your thoughts (there is a “reply” button just after people’s comments), and share the following link amongst your network: http://www.debatingeurope.eu/2011/11/09/has-the-european-central-bank-gone-too-far/. It is a superb explanation of the Europlastics. Anyone who declares that genuine Eurosceptics – those people who want the UK to leave the EU – have a home in the Conservative party is either deluded or plain dishonest.